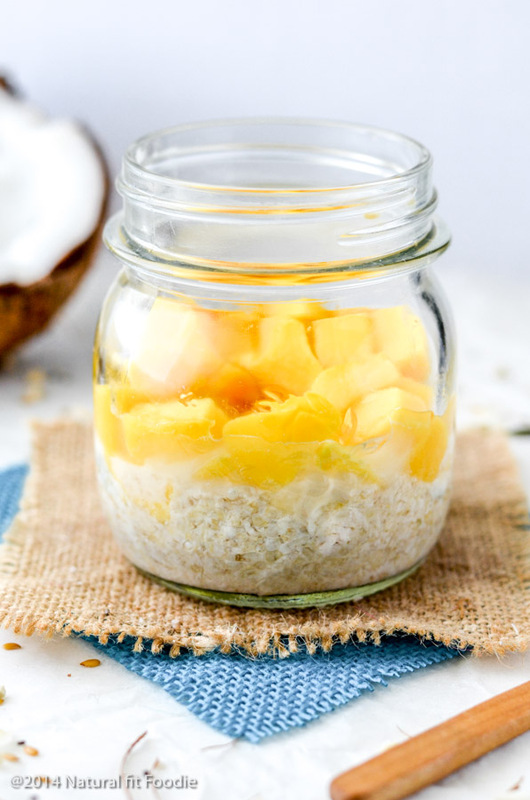 This Mango Coconut Overnight Oats will have you feeling like you’re on a tropical vacation at breakfast. Made with nourishing real food ingredients to power you through your day, it’s the ultimate no cook breakfast! 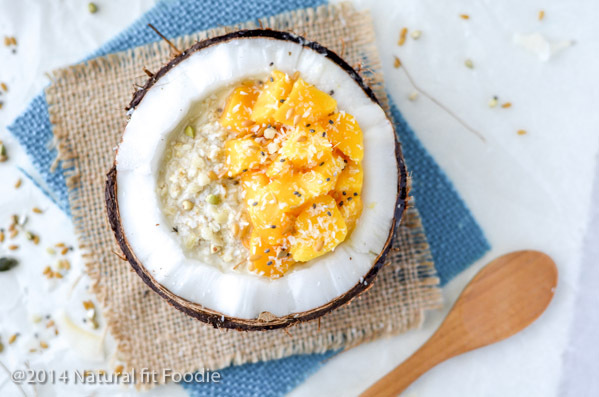 This Mango Coconut Overnight Oats is a bit different to other overnight oats recipes you may have seen floating around the web. It’s made with coconut water as the liquid base. Did you know that the water in the young coconut is one of the highest sources of electrolytes ? Electrolytes are responsible for keeping the body properly hydrated so the muscles and nerves can function appropriately. So this would make an excellent post workout meal. 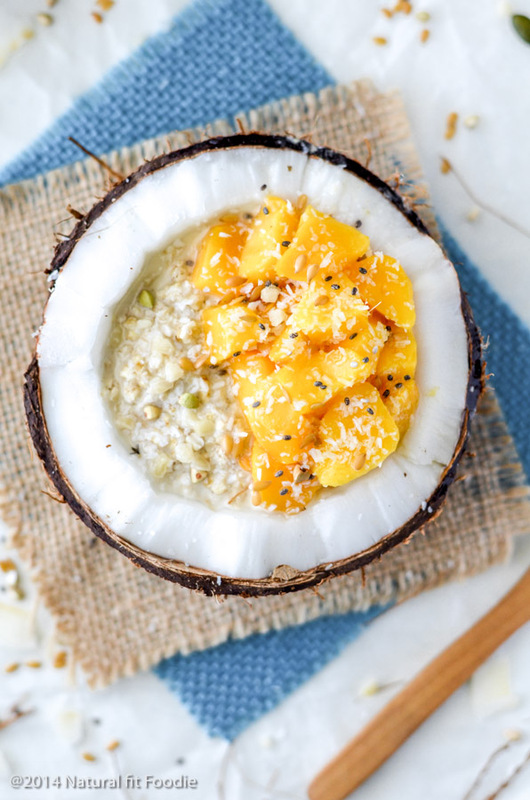 If you’re feeling super fancy you can serve your Mango Coconut Overnight Oats in a half coconut and eat the coconut meat afterwards. Coconut meat / flesh is that white part inside the coconut. It is a rich source of healthy fats, proteins, and various vitamins and minerals. And helps to restore oxidative tissue damage. 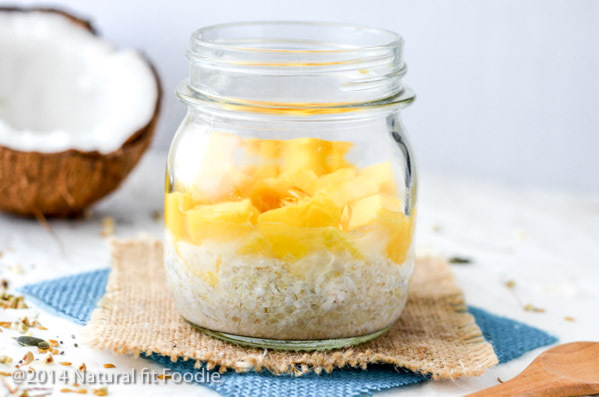 Can you make overnight oats with milk? The longest I have left my overnight oats in the fridge is 5 days. The longer the oats sit the softer they will become. So by day 5 your overnight oats will be very mushy. I LOVE my oats mushy so this has never been an issue for me but just something to keep in mind. Yes you can certainly warm up overnight oatmeal. During the winter months I warm up my overnight oatmeal either on the stovetop or in the microwave. You may need to add a bit more liquid before warming the oatmeal through. Can you use quick oats to make overnight oats? I have never used quick oats for making overnight oats but I would imagine that it works. You probably wouldn’t need to leave the oats overnight either. Can you eat oatmeal for dinner? Ummm heck yes! I eat oatmeal for breakfast all the time! 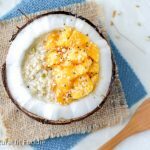 Have you seen my Zucchini Oatmeal recipe? 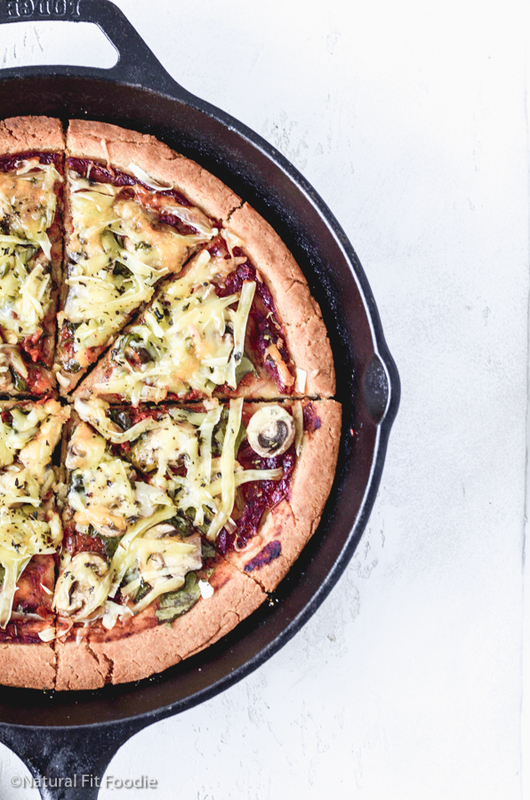 It’s perfect for dinner.